Moosalu, H., Noori Teymorlu, A., Parvini Ahmadi, N., Yazdani, S. (2012). Investigation of Transformation Induced Plasticity in High Al–low Si TRIP Steel. International Journal of Iron & Steel Society of Iran, 9(1), 11-14. H. Moosalu; A. Noori Teymorlu; N. Parvini Ahmadi; S. Yazdani. "Investigation of Transformation Induced Plasticity in High Al–low Si TRIP Steel". 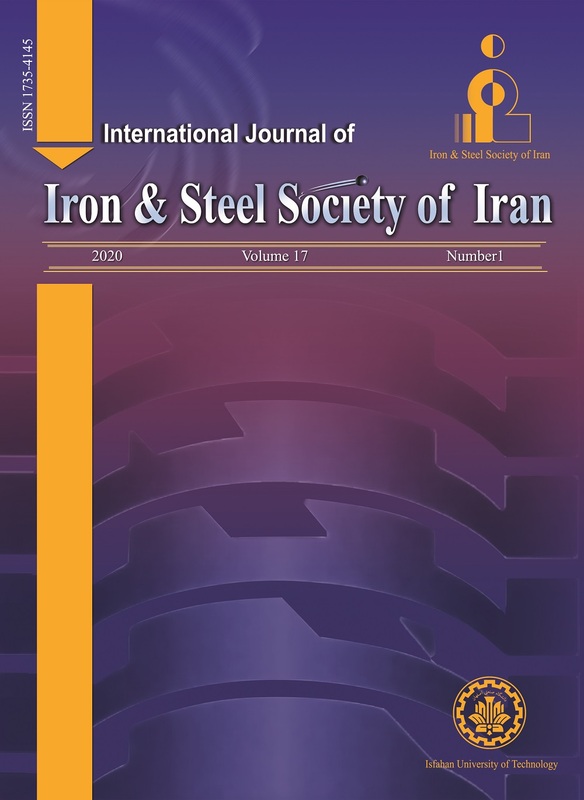 International Journal of Iron & Steel Society of Iran, 9, 1, 2012, 11-14. Moosalu, H., Noori Teymorlu, A., Parvini Ahmadi, N., Yazdani, S. (2012). 'Investigation of Transformation Induced Plasticity in High Al–low Si TRIP Steel', International Journal of Iron & Steel Society of Iran, 9(1), pp. 11-14. Moosalu, H., Noori Teymorlu, A., Parvini Ahmadi, N., Yazdani, S. Investigation of Transformation Induced Plasticity in High Al–low Si TRIP Steel. International Journal of Iron & Steel Society of Iran, 2012; 9(1): 11-14. This study was conducted in order to investigate the influence of plastic deformation on the transformation of retained austenite in a TRIP steel with a high content of Al and a low content of Si. To the aim, appropriate treatments were used to produce the starting material (TRIP steel). The microstructure of the obtained steel was composed of bainite and phases including ferrite and retained austenite. Afterwards, 40 % plastic deformation was applied to the starting material using a rolling machine. Microhardness test, microstructural investigations and determination of volume fraction of retained austenite by x-ray diffraction method before and after 40% cold work demonstrated that the volume fraction of retained austenite in the starting material was decreased as the plastic deformation was increased. During the plastic deformation, large grains of retained austenite were transformed to martensite while the small ones tended to be stable. B.C. De Cooman: Curr. Opin. Solid State Mater. Mater. Sci. Eng. A, 507(2009), 124. K. Kishida: Nippon Steel Tech. Rep., 81(2000), 12. Cooman: Mater. Sci. Eng. A, 438(2006), 296. B. Mintz: Int. Mater. Rev., 46(2001), 169. Diffraction, Prentice Hall, New Jersey, (2001).